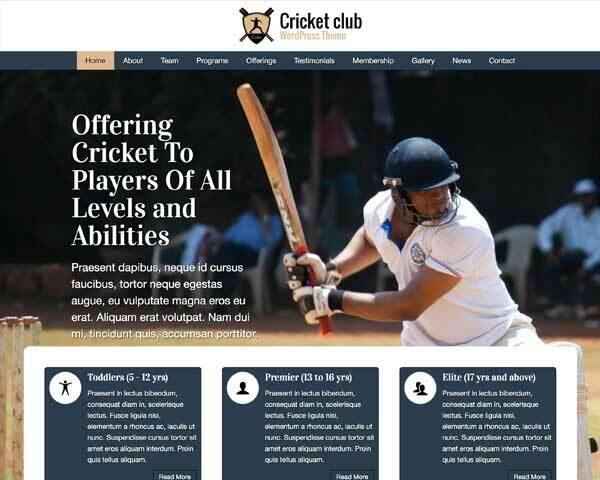 Creating a cricket website is easier than ever with the Cricket Club WordPress Theme. Show off your best photos and attract new clientele with a professional online presence that reflects the unique style of your club owner. 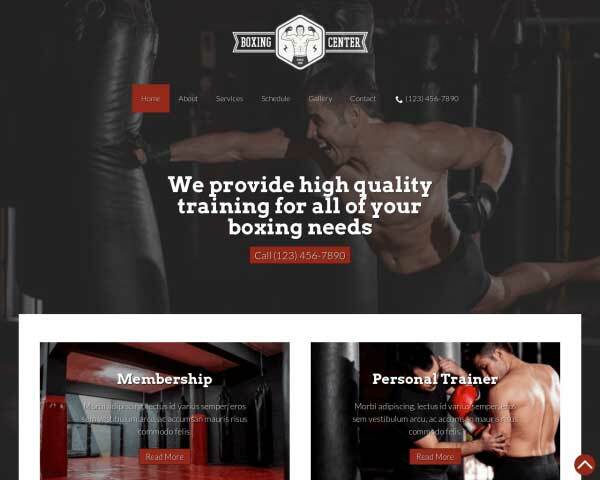 Building a financially healthy business is hard work, but website building doesn't have to be — not when you let the Cricket Club WordPress Theme do the heavy lifting for you! This website template for cricket websites is all set up to help your promote your services online. Our powerful front-end editor makes it easy to adjust page layouts with drag and drop widgets, and you'll be able to customize colors and text without any coding, even if you've never built a website before. 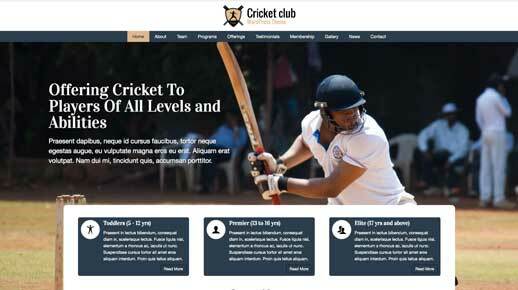 Get your complete cricket website up and running in no time when you start with the Cricket Club WordPress Theme. 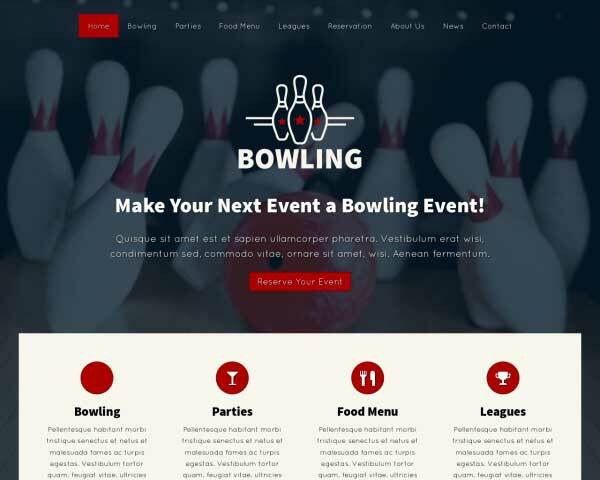 The homepage of this WordPress theme for club owners is designed to present visitors with an appealing overview your services along with quick navigation to more detailed pages. 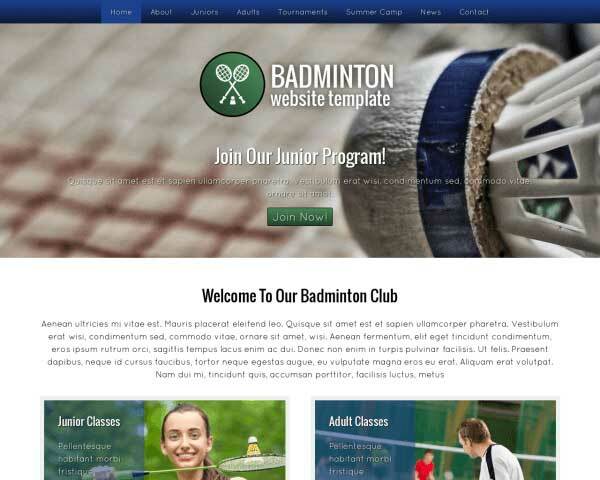 On every page of this WordPress theme for club owners, visitors are encouraged to take action and get in touch. Mobile visitors can just tap on your phone number to dial. 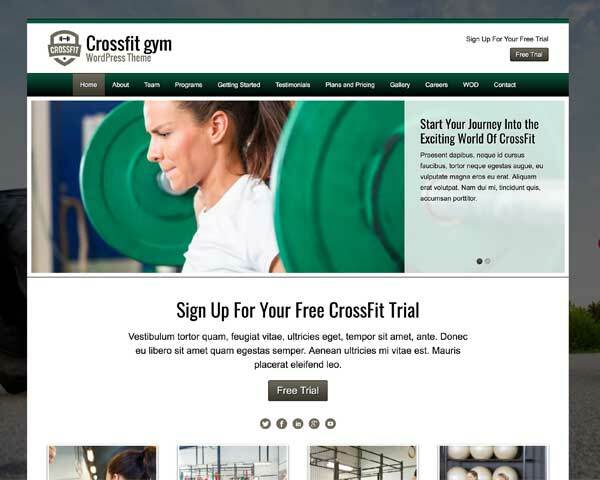 Allow visitors to register for a gym membership online with the Cricket Club WordPress Theme's built-in form. The fields can be customized to suit your needs. 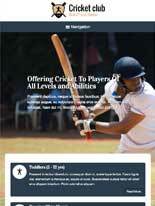 The Cricket Club WordPress Theme has a build in About page where you can list you or your team. This is truly a must have if you want to add some more trust to your site. Just replace the text and rates on the price boxes in this WordPress theme for cricket businesses to offer visitors a neat, appealing presentation of your pricing structure. The Cricket Club WordPress Theme is built on the WordPress platform, so blog comes standard. Still a major staple of web marketing the blog can both be used to engage guests and boost your rankings. 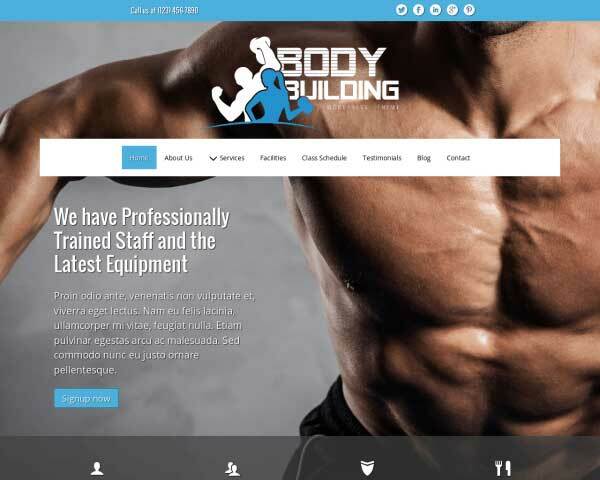 A great way to complement your existing clientele is to showcase your particular skillset via your website. And no better way to do that for any cricket business than with the responsive Cricket Club WordPress Theme. The first thing any person who is interested in somebody with your skills will do, is to start searching online. It's one thing to have a website and be out there in the first place. It's a second thing that your website showcases your company the best way possible, no matter what device is being used. This responsive Cricket Club WordPress Theme does just that heightening your possibility to get quality online leads.